Chief Minister today participated in the release of book "Amaravati Prabhuvu Vasireddy Venkatadri Naidu" on Friday. The book is written by senior and well known journalist Pothuri Venkateswara Rao Garu. On this occasion, Chief Minister has addressed the gathering and recollected how Amaravati is chosen as capital and how the name Amaravati is decided. Chief Minister has told that Amaravati is chosen as capital as it is the center of the state and it has all other facilities. CM told, "at this stage there is a discussion that, what the capital should be named ?" 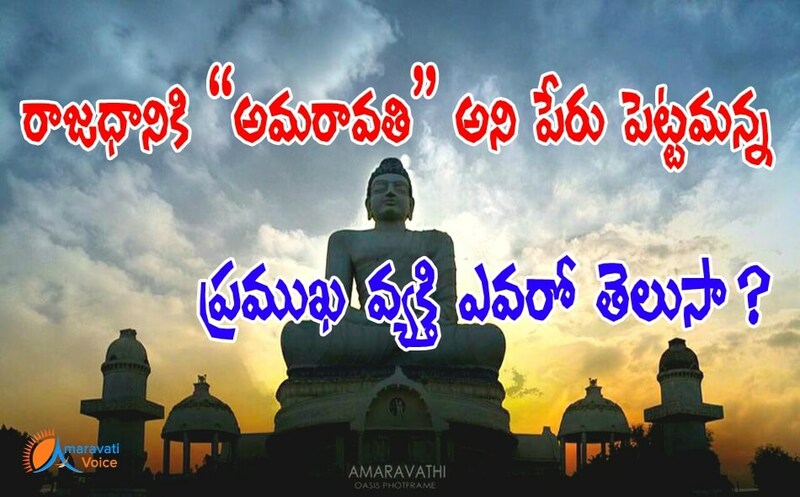 Many intellectuals have suggested to name it Amaravati, especially Eenadu Group chairman Ramoji Rao, has suggested to name the capital as "Amaravati". He has given a complete report, with historical facts of the region.